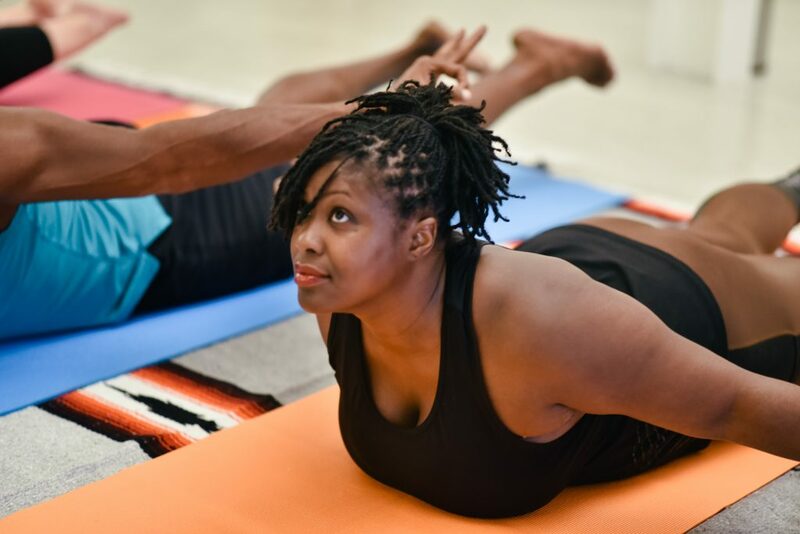 BeHotYoga Atlanta teaches a traditional hot yoga which consists of a specifically ordered series of 26 postures in a hot room. The room is heated to approximately 106 degrees. In this style of yoga we hold the postures for a certain amount of time focusing on balance and stillness. We try to encourage a disciplined practiced to help foster a unified energy for the entire room. This class is based on the classic 26 postures and 2 breathing exercises of the Bikram series. It is a 90 minute class in a hot room. Come and let the yoga rock your world! This is a 75 minute version of the classic Bikram series. Come into the heat, work hard, and leave feeling great! A twist on the classic Bikram series, this moving meditation is designed to strengthen and stretch while keeping true to our 26 postures in our signature heated environment. We’ll fit in more core work, deeper breathing, and release stress as we explore some new postures and ideas. Every class is unique as each teacher brings their own personality to the class. Restorative yoga is a form of yoga that seeks to achieve physical, mental and emotional relaxation, and provide healing and stress relief for the body and the mind. This is a one hour class in a non heated room set to relaxing music. Bikram Flow fuses the best of both worlds, creating a beautiful blend sure to refine your practice. Led by the rhythm of your breath you will flow moment to moment through some Bikram postures, adding a Vinyasa or Sun Salutation A to connect one posture to the next. This fluid journey will be set to music, and the heat will be around 95 degrees with no humidity. It will enhance your overall flexibility, upper body strength, core strength, balance and concentration. It is also a meditation practice which connects breath to movement. All Levels Practice. Take a slower paced journey with Yin Yoga. This practice features longer hold postures designed to give you a deeper stretch. The room is warm but not hot, and you will enjoy music during this hour long class. This is a great class to wind down and decompress, and to work on issues you might have with hips, shoulders, or other joints. Most of the postures are on the floor, and this practice is suitable for anyone.